The President of All India Football Federation, Praful Patel has become the first Indian to be appointed as a member of the FIFA Executive Council. The election was held during the 29th Asian Football Confederations Congress in Kuala Lumpur on 5th April 2019 and he received 38 out of 46 votes. Praful Patel will serve a term of 4 years in the FIFA council from 2019 to 2023. 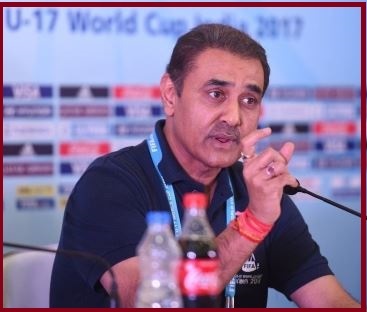 Praful Patel was one of the eight candidates contending for a spot in the FIFA Executive Council from the Asian Football Confederation (AFC). Only five among them were elected. The seven other contenders included Saoud A Aziz M A Al- Mohannadi (Qatar), Khalid Awad A. Althebity (Saudi Arabia), Mariano V Araneta, Jr. (Philippines), Chung Mong Gyu (Korea Republic), Du Zhaocai (China PR), Mehdi Taj (IR Iran) and Kohzo Tashima (Japan). The AFC Electoral Committee carried out eligibility checks on the candidates running for the positions and the FIFA Review Committee conducted eligibility checks on candidates running for FIFA Council positions. The FIFA Governance Committee will nominate representatives to monitor the running of the elections for FIFA Council positions.